Turkey's central bank raised its benchmark rate by a hefty 625 basis points on Thursday, the biggest such increase in President Tayyip Erdogan's 15-year rule, boosting the lira and possibly easing investor concern over his influence on monetary policy. Its decision came despite Erdogan repeating his opposition to high interest rates earlier in the day, saying high inflation was a result of the central bank's wrong steps. The central bank said there was still an upside risk to the inflation outlook from what it called a deterioration in pricing behavior, despite weaker domestic demand conditions. "Accordingly, the Committee has decided to implement a strong monetary tightening to support price stability," the committee's statement said. All 11 economists in a Reuters poll forecast the bank would tighten, but with the predictions ranging between 225-725 basis points as it balances concerns over the lira's weakness with worries about an economic slowdown. "It is pleasing to see common sense prevail," said Aberdeen Standard Investments Head of Emerging Market Debt, Brett Diment. "Hiking today does get Turkey on the slow road to recovering some monetary policy credibility, and that is critical." The bank also said it was returning to funding via one-week repos from Friday, having funded the market at an overnight lending rate of 19.25 percent for the last month. Guillaume Tresca, senior emerging market strategist at Credit Agricole said that the economy needed to slow down because it is overheating and that an interest rate rise was needed to cap lira depreciation. "Obviously, it will have negative consequences on the economy but, I would say, it is less important if you have a hard landing than big corporate defaults due to a vicious cycle between (lira) depreciation and inflation," he said. The lira firmed to 6.01 against the dollar following the decision, from more than 6.4176 beforehand. At 1150 GMT, it stood at 6.18. The main share index rose 1.6 percent, with the banking index up 4.4 percent. Dollar-denominated bonds issued by the Turkish government rose across the curve. The currency has lost 40 percent of its value against the dollar this year, hit by concerns about Erdogan's influence on monetary policy and more recently by a diplomatic row between Turkey and the United States. Erdogan, a self-described "enemy of interest rates", assumed new powers under an executive presidential system following an election in June and picked his son-in-law as finance minister. The appointment of Berat Albayrak boosted expectations that the president - who wants to see lower borrowing costs to spur credit growth and new construction - will look to exercise greater influence over monetary policy. In August, annual consumer price inflation hit 17.9 percent, its highest level since late 2003, prompting the central bank to say it would adjust its monetary stance at the September meeting in the face of "significant risks" to price stability. Against expectations, the central bank did not raise rates at its last meeting in July. 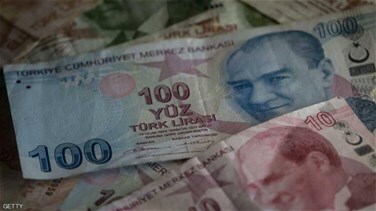 Subsequently, the lira lost about 25 percent of its value while Turkish authorities have taken a series of steps designed to support the currency, with the central bank taking liquidity measures and the banking watchdog limiting derivative transactions. Erdogan has cast the lira crisis as an 'economic war' targeting Turkey, repeatedly urging Turks to sell their dollar savings to shore up the lira. In a decision announced earlier on Thursday, he ruled that property sales and rental agreements must be made in lira, putting an end to such deals in foreign currencies.